In terms of other products, Reuters showed a smaller -3.5% fall in other product volumes, including NDFs and swaps (on their SEF) to $245bn/day. 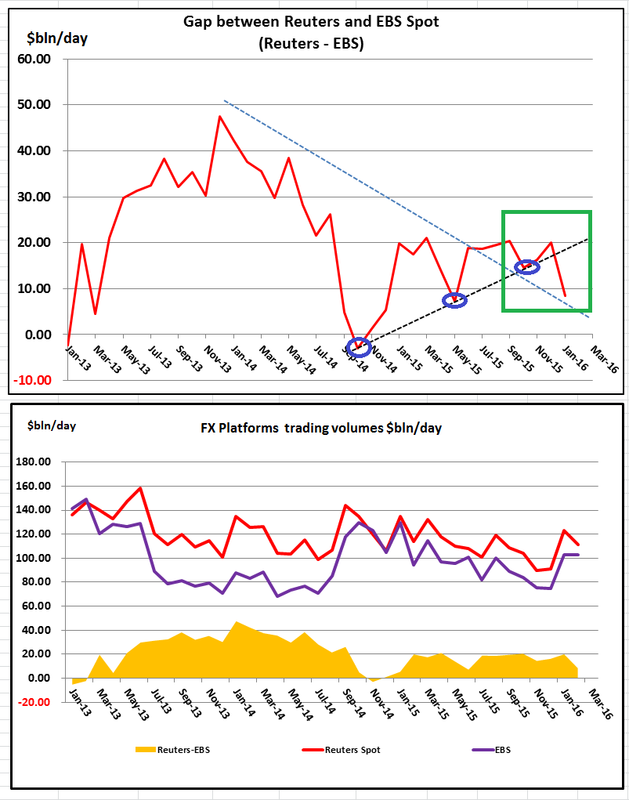 Looking at Reuters: Chart below shows Reuters Spot, Other volumes (which includes SEF swaps as well as NDF and FX Options vols) and total vols. 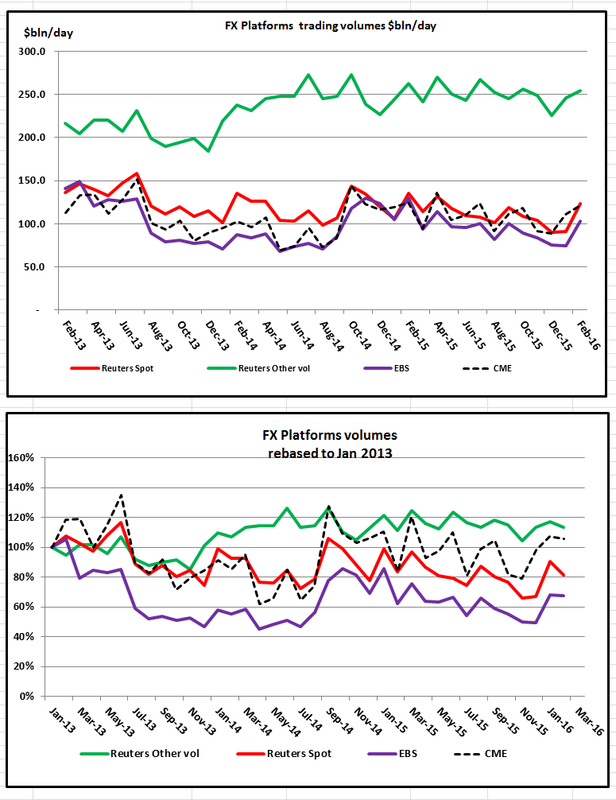 Turning back now to comparing major platforms, below are two charts showing performance of the platforms. Reuters-EBS Difference: Looking at the differential that we track between Reuters-EBS (red line) in chart below, in Feb the differential dropped dramatically (in favor of EBS) from $20bn/day to $8.4bn/day a drop of -58%. The red line has now broken through the rising dotted black (support) line, signaling a strengthening of EBS relative to Reuters. Do you know if Curex Group publishes any ADV figures for its ECN (which publishes completed trades to a FTSE index)? Good to hear from you, and thanks for reading the blog. Unfortunately I haven’t seen and can’t find on the web any volume figures relating to trading on Curex ECN. I could ask, but typically lack of published figures usually implies lower than expected ADV.